Janet Rideout (1939 - ) is an organic chemist and one of the scientists who discovered that azidothymidine (AZT) could be used to treat Human Immunodeficiency Virus (HIV). She also played a key role in the development of acyclovir, the first effective treatment for herpes viruses. Rideout was born Janet Litster January 6, 1939 in Bennington, Vermont. 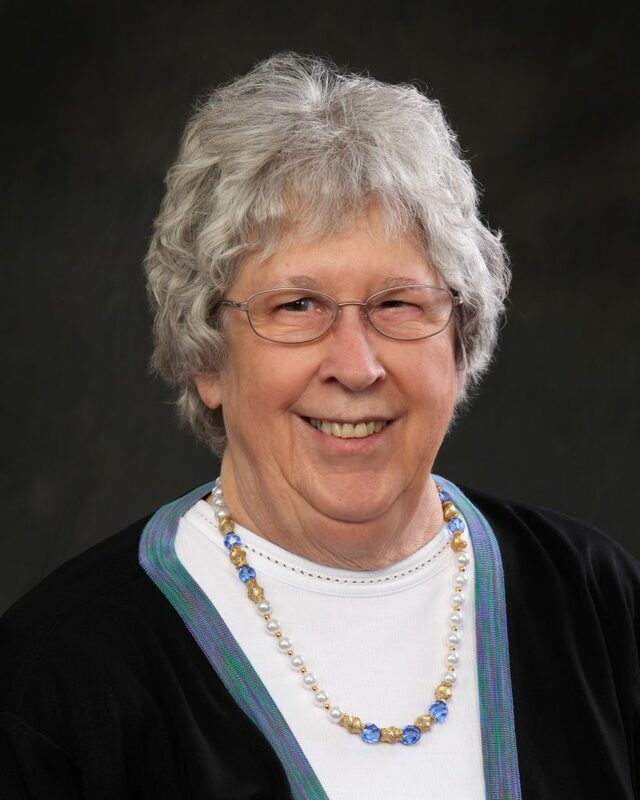 She received bachelor’s and master’s degrees in chemistry from Mount Holyoke College followed by a PhD in organic chemistry from State University of New York, Buffalo (UB) in 1968. Shortly before graduating from UB, Rideout was hired by chemist and future Nobel laureate Gertrude Elion to work at a small US subsidiary of the British pharmaceutical company Burroughs Wellcome Company (now GlaxoSmithKline). In June 1984, Burroughs Wellcome initiated a program to identify chemical compounds that might be effective against HIV, and they put Rideout in charge of choosing which compounds to test. There was limited knowledge about HIV at the time, but Rider's search was aided by the finding that HIV was a retrovirus, a type of virus that transfers between cells with its genome encoded in RNA but, once it infects a host cell, reverse transcribes its RNA genome into a DNA copy which it then inserts into the host cell's DNA, so that the cell and all its progeny are perpetually infected. Knowing that HIV was a retrovirus, Rideout searched for compounds with antiretroviral activity. One of the compounds she chose to test was azidothymidine (AZT), a structural mimic (analog) of the canonical nucleoside thymidine, one of the building blocks of DNA. Unlike thymidine, AZT doesn’t have the chemical group needed to link nucleotides together, so it could potentially act as a chain terminator (when the virus tried to reverse transcribe its RNA, it would incorporate the analog and get stuck since additional nucleotides couldn't link to it). Colleague Marty St. Clair tested it against two animal retroviruses, and found it to be highly effective. To see if it was also active against HIV, they collaborated with scientists at the National Cancer Institute (NCI), including Samuel Broder and Hiroaka Mitsuya, who found AZT to be highly effective against HIV in human cells, and it went on to become the first FDA-approved treatment for HIV. Rideout is listed as the first co-inventor on the patent for the use of AZT to treat HIV (one of more than 40 U.S. patents she now holds). The rollout of AZT, given the chemical name zidovudine and the proprietary name Retrovir, was contentious, as the product was rushed to market and approved at doses later shown to be toxic. Additionally, many protested the high price of the treatment. Today, AZT is given at lower doses and as part of a combined antiretroviral therapy for AIDS. It is also important for preventing the transmission of HIV from mother to unborn child. It is on the WHO list of essential medicines. After over 26 years at BW, she moved to Inspire Pharmaceuticals (now part of Merck) where she studied nucleoside-based signaling molecules. She retired in 2001.